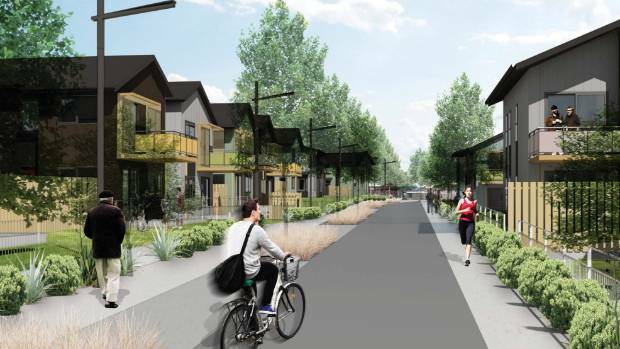 Tāmaki Regeneration has built a mix of types and sizes of housing, designing with community interaction, privacy, ventilation and natural light in mind. The development is also more dense, with 7500 homes now sitting on much smaller plots of land than the classic suburban section. Key strategies include positioning the new houses close to the street to promote community engagement. And to avoid visual repetition while maximising cost efficiencies, houses may be parallel or at right angles to the street, and the ridgelines of the gabled roofs may also be parallel or at right angles. People were pretty resistant at first, as many of the features Kiwis are familiar with were absent (in many cases, replaced by better – but still unfamiliar). And, crucially, you can’t tell which of the houses are state housing and which are privately-owned. Letting people from different socio-economic backgrounds live as near neighbours is, research shows, one of the best ways to get communities where people can see life from others’ perspectives. And not see people who’re richer, poorer, a different colour to them as alien or “those people”. 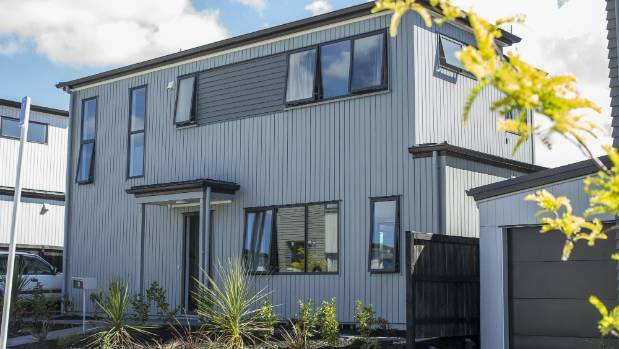 Porirua is getting renewed social housing too, as reported this month. The signs are good, from the artists’ impressions at least – looking much more liveable by international standards (build to support quality of life and sustainable development). It’s not clear whether it’ll be better for the environment than recent subdivisions (massive earthworks generating sediment, see picture below), but as it’s a redevelopment of a developed site it can’t be too bad for earthworking. And it sounds like it’ll be an awful lot better for people to live there. Where are the private developers in this? Tāmaki Redevelopment Company is a corporation but it was designed specially to deliver to the public good. Is this what’s needed to get really good housing that builds communities? Surely the market can know and do better? We have lots of land sitting around and long waiting lists for state housing, not to mention an affordability crisis where even two-income, childless families can’t afford to buy a home. Are Wellington’s private developers unable or unwilling to make a Tāmaki kind of alliance, or haven’t we tried yet? Or are they actually all over this, and we just haven’t seen the fruits yet – just more rows of huge, beautifully finished houses covering their large sections in people-less, tree-less streets?